Cell phone theft seems like an ever-growing business. Getting mugged on the streets and alleys has become all too common nowadays. 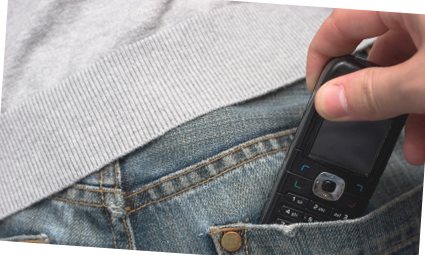 If your cell phone is stolen, the cost of the phone becomes a secondary matter. The amount of personal data, pictures and important information stored on the phone is of primary important for almost everyone. If you happen to be subjected to cell phone theft, there is something you can still do to recover your phone and find the snatcher. Usually all smart phones ask you to input a personal identification in the form of an email address. Once you enter the email address, your entire data on the phone can be backed up on a cloud device. But that’s not it, when your phone is synced with the email address; it activates a GPS locator in the phone as well. No matter where you are, you can access the location of your phone whenever and wherever it is switched on. GPS tracking can help you locate your cell phone even if your SIM card has been thrown out of it. You can also get alerts if the SIM card in your phone is changed. If you happen to lose your phone to a thief, there is nothing to worry about as long as your GPS locator is on and your phone is synced with the account you entered on your phone. All you will have to do is access a GPS location website, enter your phone number or the email id synced with your phone and you will be provided with the exact location of your phone.